Dude of the House: What is a Dude? Since I am the “Dude of the House” he wanted to know what constitutes a Dude and distinguishes him from the average “Man”. Full disclosure: when I first started writing, my original handle was “Man of the House”. Then after a little online research, I discovered that “Man of the House” was a super-lame movie from 2005 starring Tommy Lee Jones* where (according to IMDB): “A Texas Ranger must protect a group of cheerleaders who have witnessed a murder”. Because that happens a lot in real life. · A Dude is independent minded. He’s confident, not afraid to be a trail blazer and marches to his own drummer. 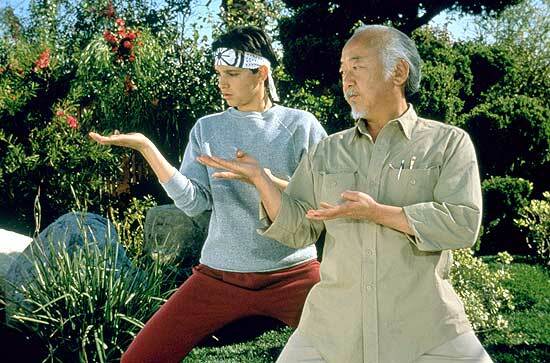 I think to anyone of my generation, there is one man who comes to mind when you mention the word “Dude”. Without a doubt it’s The Dude. Duh. 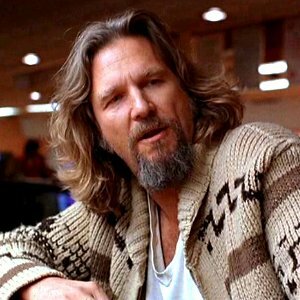 Jeff Bridges’ Jeff Lebowski never hesitated to wear his bathrobe while cruising around LA and carrying his Ralphs’ card as his only ID. He stood up to Walter and was not afraid of the nihilists. And when he got jerked around by The Big Lebowski, he simply chose a replacement rug and made it his own. · A Dude is cool without trying to be. On the great “Modern Family”, of the six main male characters there are two Dudes. You might think that Phil is one, but he is clearly not. He really doesn’t possess any of the traits I listed above and he follows his teenage daughter’s boyfriend around like a lost puppy. I wouldn’t mind hanging out with him for comic relief, but he’s not a Dude. The real Dude is Ed O’Neill’s Jay (and not just because of his name). He owns a successful business, married a woman much better looking than he is and is open minded & clever enough to subtly reason with his crazy family. This is not O’Neill’s first brush with being a Dude, as Al Bundy was also one but for reasons more like the aforementioned Mr. Lebowski . · Age is irrelevant to Dude-liness. 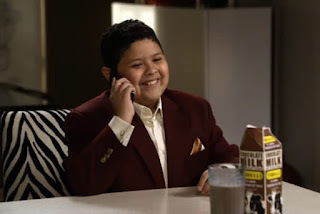 The second Dude from Modern Family is Rico Rodriguez’s Manny. Even though he’s a pre-teen Manny fences, drinks espresso and wears a burgundy dinner jacket on a regular basis. He’s also not afraid to pursue the older girls that he is attracted to, even though one of them is his 17 year old step-niece and another was in her 20s that he met in an online forum. Never change, Manny. Another person for whom age has no bearing on being a Dude is Jack Nicholson. Jack is still as much of a Dude now that he’s in his 70’s as he was when during the 70’s. He’s still the kingpin, the alpha dog and the guy who spends $5,000 per game to sit courtside at the Lakers’ games while wearing his shades. · Dudes are real people, too. My explanation has mainly talked about fictional Dudes so far, but there are plenty of Dudes in real life too. Our two most recent ex-Presidents are both Dudes, but very differently. Bill Clinton was a smooth character who redefined the public face of a politician when he played the saxophone on the Arsenio Hall (who is not a Dude) show. Born poor in Arkansas, he ate at McDonalds and overcame rumors of infidelity to become the most powerful Dude in the world. His successor, Dubya, is a literal Dude but mainly because he lives on a ranch in Texas. · Women can be Dudes, too. 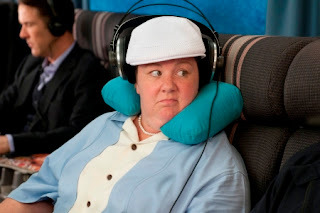 Melissa McCarthy in “Bridesmaids”. Enough said. Pop culture is where we find many of our Dudes these days. Dr. Drew tries to be a Dude, but falls way short. Yes, he hangs out with rock stars, acts hip and can sort of relate to the younger generation, but he’s also the most vanilla looking guy on earth and just thinking about him makes me almost doze off. At the end of the day, your Dudeliness is what you make of it. You can be a free-thinker, independent and a revolutionary innovator and still not be a Dude. Just ask Mark Zuckerberg. Yeah, he’s the world’s youngest billionaire but he also ripped off the Winklevosses for hundreds of millions of dollars. Not cool. And he keeps changing how my Facebook page looks, which is also not cool. In my house, there are two Dudes. I’m the Big Dude and BC is the Little Dude. He’s not even two years old yet and he already regularly flirts with women 10-20 times his age while out and about. I guess I’m a good Wingman for him, which is another important trait for a Dude to possess. Over time, I will teach him the ways, but like Mr. Miyagi to Daniel-san, it will be so smooth that he won’t even realize he’s being taught. So after much thought, I’ve learned that Dudes come in all shapes and sizes, colors, sexual orientations, religions, etc. There is no hard and fast rule but one thing to keep in mind when you’re trying to figure out someone’s status: If they fall short of being a Dude, they are just a Dud. What do YOU think a Dude is? Who are your favorite Dudes? I am participating in the Dude Write Starting Lineup this week where you can find some excellent posts by bloggers who happen to be dudes. Nice dude. It seems to me that you are at the forefront of the emerging field of dudeology, or maybe it shouold be called dudeamatics. Keep it up please. I love this post, so fun! I have 3 awesome dudes in my life, my hubby and two happy healthy boys, and couldn't be more thankful for my favorite dudes. My youngest son is definitely a dude. He wears green crocs and is not afraid to punch you in the gut. He's part John Wayne and part Mickey Mouse. Duuude! we have a house full of dudes here (with 4 boys and the hubby) and only me and the little miss to counter all the dudeness here (is that a real word?) Favorite dudes in this house Chuck Norris,Nicepeter (if you haven't seen nomnombabies you haven't lived) Darth Vader and Luke Skywalker. According to my 13 year old Bapa (my dad) is the coolest dude and knows everything. Some people can project the vibe of a "dude" without actually being one. I didn't really meet any of the dude requirements, but for a lot of years I was a youth pastor, and everyone thought I was a dude because teenagers thought I was cool. I love that you included Manny, a Dude's dude without a doubt One more thought- ever notice how little difference there is between a dude and a dud? :) Great post! I'm now a follower! Me and four of my fraternity brothers drove from Syracuse, NY to Panama City, FL for spring break junior year. It was snowing when we left, beautiful sun when we arrived. 24 hours straight. This trip made us all dudes. Yes... I just "duded" myself, which makes me not a dude. Dammit. Thank you all for your insight as to what a Dude is or isn't, or how you are or aren't one. I've learned a lot of useful info which I'll use as research for my upcoming seminar: Dude 101. The good news about "dude" is that it's definitely shed the stigma that came with the "Dude, you're getting a Dell" dude. Also, let's not forget about the strange breed of dude, dood nathanson. My favorite Dudes are my dad and my sons. Though he is made out as a dude, I think the 'most interesting man in the world' seems a bit of a dandy. Clint Eastwood is a total dude. My favorite Dude is our cat Motley. He's the only cat out of the 17-18 that we've had to escape getting eaten by the local coyotes. That's cool. Definitely a good entry for Dude Write, dude. I think this is a well-done post about what a dude is. I would classify my closest friends as my favorite dudes. They definitely fit the bill. And I agree about Zuckerberg not being a dude. Dude, too funny man! Great post. * A true Dude is always there for his other friends, even if they are in fact not dudes themselves. You forgot "A dude shall follow another dude on Twitter no less than 3 times". Great post and a very appropriate entry for DudeWrite. Haven't decided whether I'm submitting anything this week, but there's still time. Good luck! I'm glad you weren't talking about "dude" in the way the old cowboys used to. That's just embarrassing. I personally don't think "dudeliness" can be defined, but it's just something that you know and feel. Excellent research criteria for my quest to earn my dude status! I think a dude has to be realiable. Someone who promises to pick your kids up from school for you and forgets is not deserving of dude status. A dude is someone who will never judge, but still offer his constructive criticism and sagely advice to his dude friends. Also, the Dos Equis guy. A dude goes with the flow, he's not a leader or a follower. He's laid back and deals with what he can affect.